Leonardo DiCaprio has seriously become one of my all time favorite actors. He sure has come a long way from that little kid on Growing Pains. You can just tell he puts a lot of heart and soul into his craft. I think he is extremely talented and I have to say most of his movies, as of late, are amazing. My personal favorite is The Departed (which won Best Picture in 2007). He definitely has an amazing career filled with a long list of eclectic movies to show for. Below is a short montage of some of them. Enjoy! 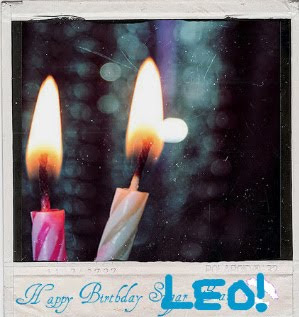 Hope you have a GREAT day, Leo! Below are two previews for DiCaprio's upcoming movies. The story of two U.S. marshals, Teddy Daniels (Leonardo DiCaprio) and Chuck Aule (Mark Ruffalo), who are summoned to a remote and barren island off the cost of Massachusetts to investigate the mysterious disappearance of a murderess from the island's fortress-like mental hospital for the criminally insane. Look for this movie early next year, February 19, 2010. A thriller set within the architecture of the mind about a CEO who is involved in a blackmailing scandal. Look for this movie next summer, July 16, 2010. P.S. Word has it that DiCaprio will be in the remake of The Neverending Story. That sounds interesting. the neverending story would be amazing even now.. I loved the original. the music, the fantasy, atrayu...(however his name is spelled) I would love to see someones interpretation of it now.